If you're looking for an adventure, go to Elbsandstein. More than anything else, this area on the German-Czech border is a great place to test and practice your mental limits as a climber. 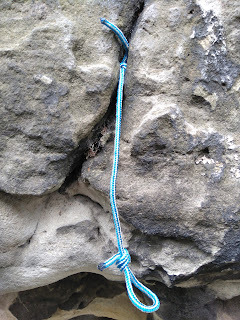 Going up a 60-meter route with about 8 bolts or a shorter route using just knots as protection takes some balls, don't you think? Elbsandstein or "Elbe sandstone mountains" is a place for experienced climbers and those with serious commitment or local guide. I happen to be a very lucky beginner accompanied by a courageous partner and at the time two local guides. Me and T met a couple from Pirna (a town near Elbsandstein) in Gandia and then again in Chulilla and stayed as their guest for almost a week. In this post I'll do my best to describe the three places we climbed at. Multi-Pitch Climbing In Verdon Gorge, France: I Want More! Verdon Gorge is probably the most unique and impressive crag I've seen so far. To me, Verdon is all about endless rappels to the unknown, great climbing on rock less polished than you'd think and silent vultures flying right next to you. You basically just park the car, grab your rack and start rappelling without knowing what you're about to get into. 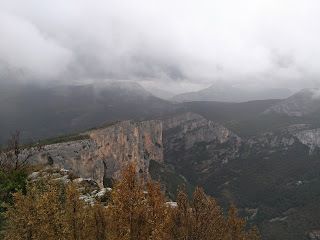 That being said, we spent just a few weeks exploring the Escalès area and I know there are plenty of other areas around La Palaud Sur Verdon, too.